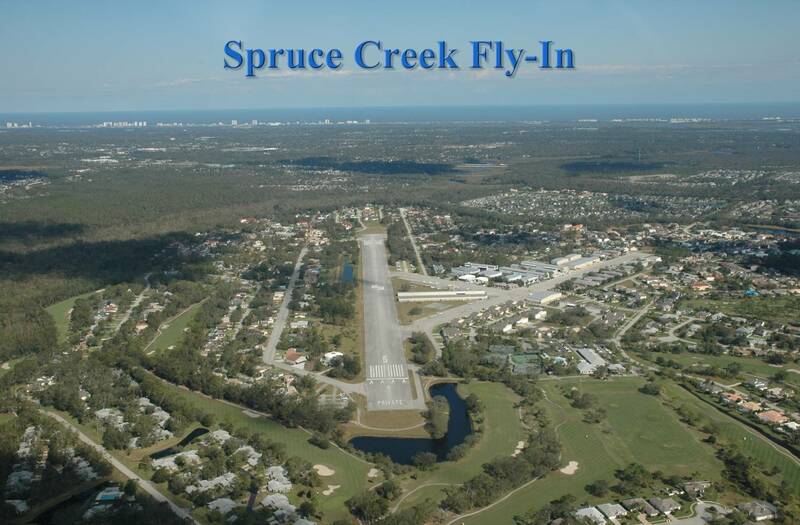 Spruce Creek Fly-In is a privately owned airpark and country club community on a 1,250 acre former World War II Naval airfield near Daytona Beach, Florida. It is a gated community with 24-hour security, has private 4000' runway with over 14 miles of taxiways to hangar homes, a country club with golf and tennis, parks, and walking / jogging and bike paths. An ideal home of aviation enthusiasts and all who wish to live in a secure, active and friendly community. Spruce Creek Fly-in features Homes with Hangars on the taxiways, Golf Course Homes on or with a view of the golf course, Country Club Homes and Nature Homes adjacent to Spruce Creek preserve, Commercial Hangars, Town Homes. There are still a few Building Lots available.